Almost everyone I know has a tamale pie recipe. 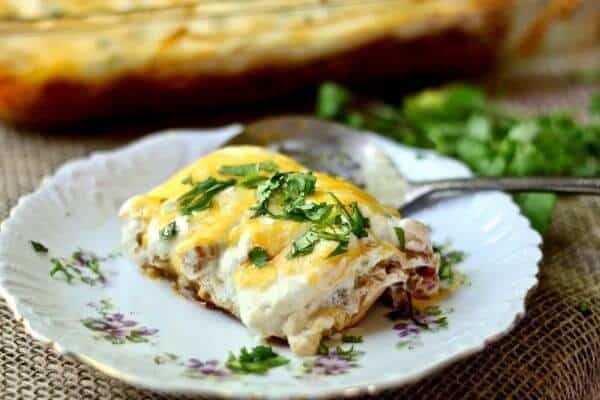 This easy Tex-Mex casserole has been a favorite of families everywhere for decades – providing a budget friendly comfort food to busy home cooks. 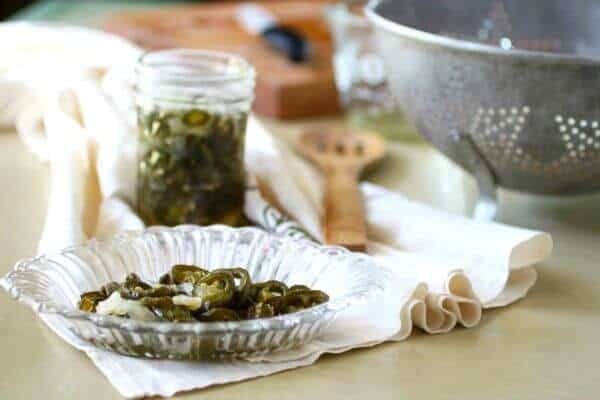 My recipe is an adaption of a recipe from a local Women’s League cookbook that was published early in the 1940s. This classic dish will please your wallet as much as it pleases your tastebuds. I love this tamale pie recipe. It’s filling, it’s cheap, it’s easy to make, and most of all it’s delicious. You can assemble it a couple of days ahead of time and back when you need it or you can make it and freeze it for later. It’s not fancy – it’s one of those meals that gets thrown together and put on the table confidently because you know it’s going to disappear fast. It’s another one of those that I like to take to potlucks and when someone at church needs a meal. It’s also not something I grew up on. In fact, the first ever tamale pie I ever made was when my oldest kids were small and we were (believe it or not) vegetarian. I used to make an awesome vegetarian tamale pie that the kids loved – and it was super easy on the budget. I’ll get around to posting it one of these days. Anyway after several years of being vegetarian things changed and we began eating meat. I still made the vegetarian tamale pie because we loved it so much. One day I was paging through a vintage cookbook that I’d just picked up at a garage sale and came across a tamale pie recipe that looked very similar to my vegetarian one. I add a lot of cilantro. I am one of those people that LOVES cilantro! If you don’t love it then feel free to cut back or leave it out completely. You can use cooked chicken or shredded cooked beef instead of the ground beef in this recipe. You could even use leftover pork – I don’t think fish would work but I haven’t tried it. If you’d like to make a vegetarian tamale pie version double up on the beans and leave out the beef. Ranch style beans are beans in a seasoned sauce. If you can’t find them pinto beans are fine but you’ll want to taste it and add seasoning. If you like spicy food you can use all Ro*Tel tomatoes instead of diced tomatoes. So, this dish. The meat is spicy with all of that cumin and chile Tex-Mex flavor. The beans and vegetables add texture as well as flavor. My favorite part is the cornmeal crust which is very similar to the cornmeal crust on a classic tamale. When you put it all together with tons of gooey cheese… well… it’s a happy thing, you know? 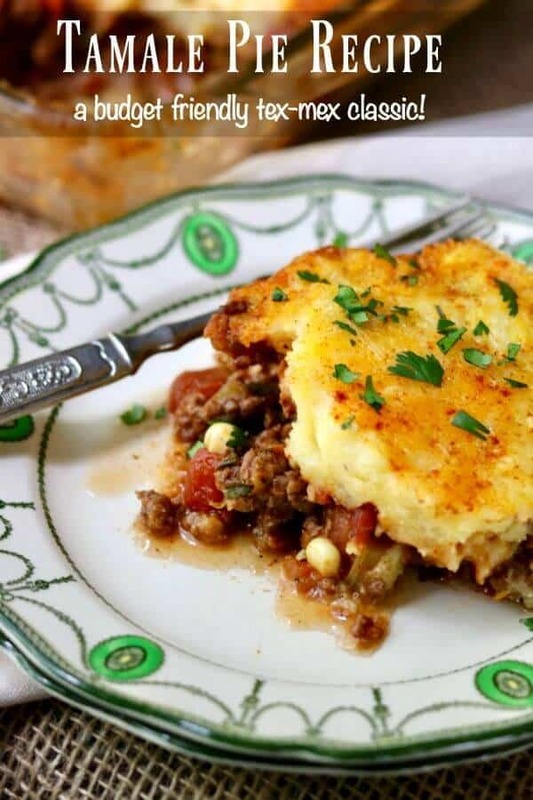 Tamale pie has been a Texas favorite for decades. This version comes out of a 1940 Women’s Club cookbook and was submitted by a lady from Seymour, Texas so you know it’s the real deal. It’s a family favorite here. Grease a 13x9-inch baking dish or spray with cooking spray. Heat the oil in a large skillet and saute the celery and onion until tender, about 10 minutes. Add the garlic, tomatoes, corn, and beans – simmer for 20 minutes. Stir in the cilantro if desired. Melt the butter in a heavy pan and cook until done. Add the chili powder, salt, pepper, and chipotle. Blend 1 cup of water with the cornmeal. 10. Bring the remaining water to a boil in a saucepan. 11. Stir in the cornmeal and cook, stirring constantly, until very thick. Be careful because it may bubble and pop out of the pan and burn you if you’re not careful. 12. Spread half of the cornmeal mixture on the bottom of the baking dish. 13. Add the meat and spread to cover. 14. Top with the tomato mixture. 15. Top with 1 cup of the Cheddar cheese. 16. Cover with the remaining cornmeal mixture. 17. Sprinkle with the remaining cheese. 18. Bake for 25 minutes. 19. Let stand about 5 minutes before serving. 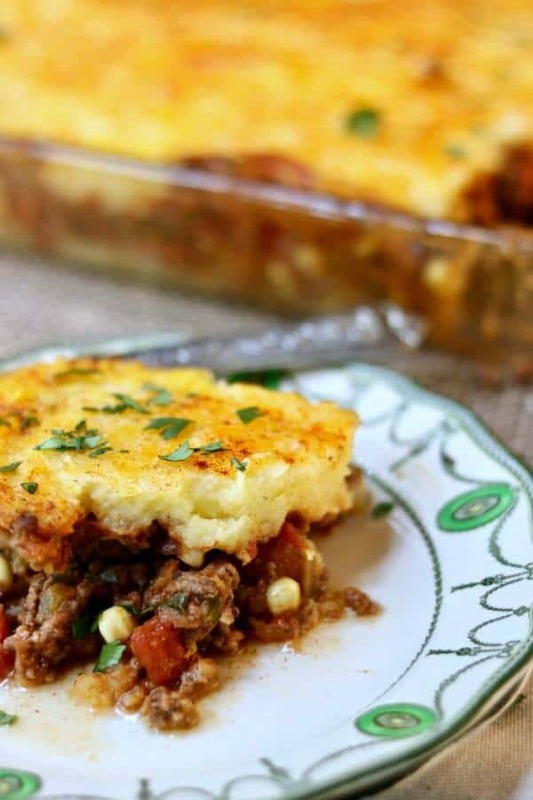 Looking for something a little different than this tamale pie recipe? I love this Tex-Mex Cowboy casserole from Aunt Bee’s Recipes. 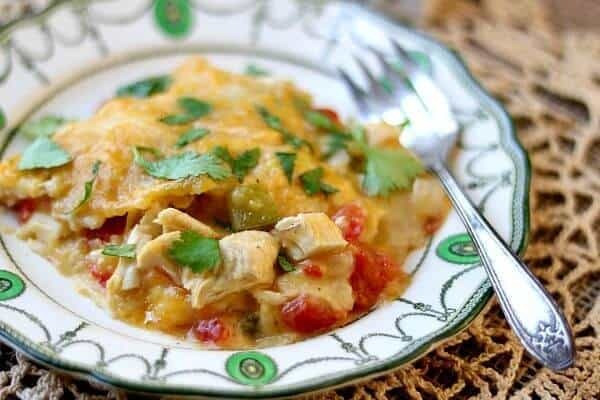 Chile con Queso Chicken Casserole from Written Reality is definitely one of those kinds of recipes my family loves! And… if you’re looking for something Tex-Mex but lighter and healthier check out this skinny bean quinoa casserole from iFoodReal. Just tried this. The filling was great. The cornmeal mixture was nothing like the picture. The picture looked like cornbread but the mixture was too loose and never firmed up. Maybe I didn’t cook it long enough but it was tender and done. Mixture does pop up big time too – was prepared but not enough. Will probably try it again with a cornbread top. The topping is not cornbread, it’s not meant to be. It’s a tamale. It may be that you didn’t cook the cornmeal long enough. you left out cooking the meat, I take it you mix with the spices? or do you add the soice with the cornmeal? cook it with the spices.